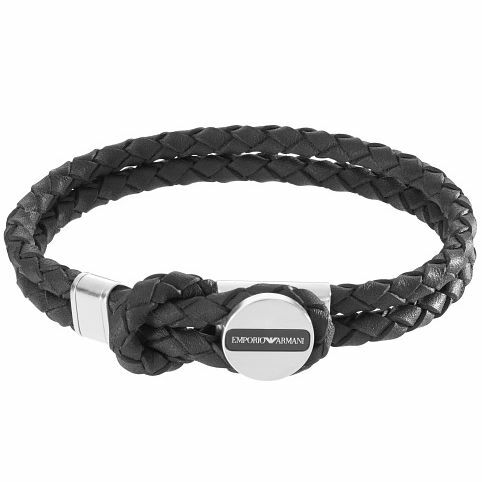 Emporio Armani Men's Stainless Steel Black Leather Bracelet is rated 3.8 out of 5 by 4. Rated 5 out of 5 by Anonymous from Christmas gift Bought this armarni bracelet for my son for christmas and he loves it , came within 3 days of ordering and had to contact ernest jones with a blip in the order that was rectified straight away .. the bracelet fits well and is if a high standard in quality .. highly recommend ernest jones look forward to buying gifts in the near future. Rated 5 out of 5 by Anonymous from Great fit This is a great product and well worth the price paid.